General Assembly attendees are invited to join in an Interfaith Community Public Witness Event at the Twin Cities’ Pride Weekend—the fourth largest bisexual, gay, lesbian, and transgender (BGLT) PRIDE in the nation. Join Unitarian Universalist Association (UUA) President Peter Morales, interfaith and community leaders in a witness for our values. There will be worship, music, testimonials, and information about what we can do for BGLT equality. Lunch will be available from several vendors in the park. Loring Park is an accessible space. Seating will be available. Wear your Standing on the Side of Love T-Shirts! 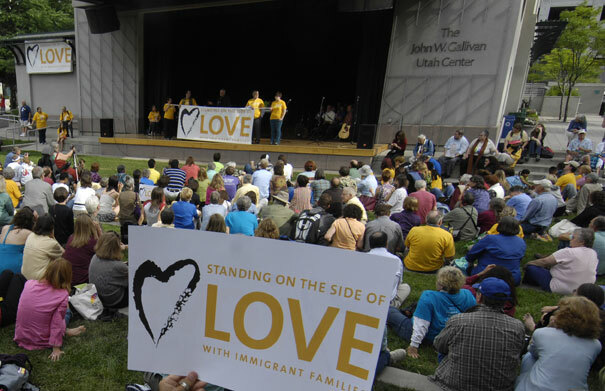 Bring your family and come have a picnic as we march and witness for family values that value ALL families. Stand on the side of love.